pumping is easier than in the vertical position. 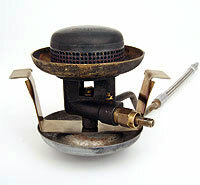 Weights of assembly: 986g empty without preheating equipment. 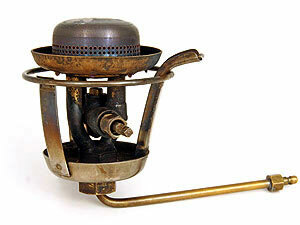 Burner 289g, spindle with wheel 44g, pump + hose 127g, bottle 108g. Explorer standard set. Volume of the bottle 0.6 litres. The pump has existed in two different types. 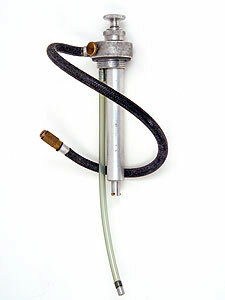 Here an earlier model with the air valve. 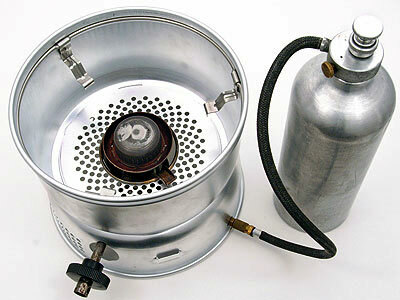 Cobra burner of the Explorer equipped with a DIY Trangia adapter. The adapter can be purchased factory-made too. (here 1 litre) has to be in horizontal position. 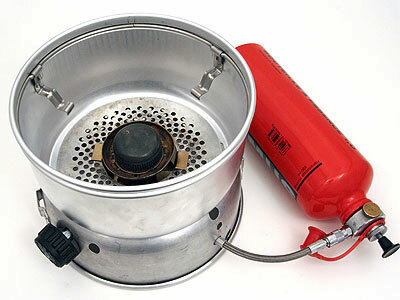 Weights of Trangia assembly: 954g empty without preheating equipment. 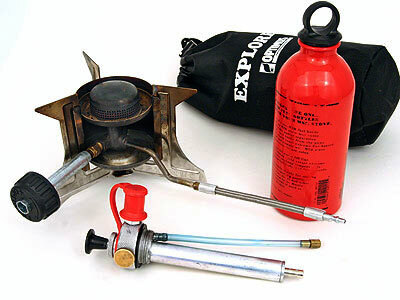 Burner + hose + adapter 238g, multikey 42g, pump 121g, bottle 135g.